« Homepage / Gourmet / "Tommy’s Touch: A culinary evolution"
I have often pondered which famous restaurant I would select if I had to have one last classic fine dining experience in New Orleans before heading up to the pearly gates and I have always deliberated between the same three favorites: Galatoire’s for lunch (on a Friday), Commander’s for dinner, and Arnaud’s for brunch, despite the fact that I have tried nearly all the hot new places and chefs during the past 25 years. 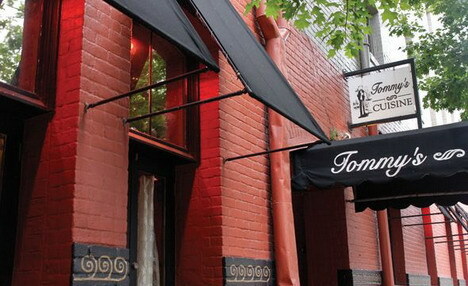 I have recently come up with a new favorite on the “last wishes” list: Tommy’s Cuisine, which has the flourish of the famed institutions and the service to match, but is on a much more intimate scale and is located next to Emeril’s in the fashionable Warehouse District (746 Tchoupitoulas Street). I love the fact that you can go next door to the elegant Tommy’s Wine Bar after dinner and extend the evening by hearing live music while enjoying a romantic postprandial. 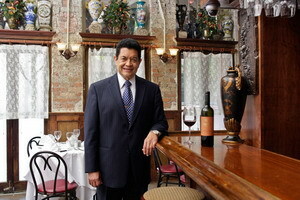 Shortly after opening his eponymous restaurant in 2004, owner Tommy Andrade insightfully scooped up Chef Milton Prudence, who had been at renowned Galatoire’s for 35 years. Prudence was the first African American to hold the title of executive chef at the storied restaurant run by fourth generation proprietors, and he is dazzling guests at Tommy’s Cuisine. When I first met the debonair Andrade many years ago, he was Maitre D’ at the Fairmont hotel’s most elegant dining venue and I was just starting out as a journalist, cutting my teeth in my fourth year as a magazine editor while engaged as a radio talk show host and a weekly restaurant critic for the local newspaper, Gambit. Through the years, we would have many editorial and production meetings with “Mr. Tommy” watching over our party. A 20-year veteran of the Fairmont hotel, Andrade was a charming host, taking care of every detail for our group of editors knocking around ideas while doing lunch. 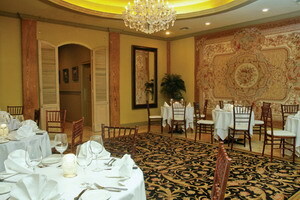 After departing from his post at the Fairmont, Andrade opened Irene’s in the French Quarter. His posh new restaurant rapidly became popular and people would clamor for tables at the no-reservations, intimate Italian eatery on St. Phillip Street. During the decade I served as Gambit’s restaurant critic, I once wrote a review of Irene’s and my publisher entered it into the New Orleans Press Club awards without my knowing. At the awards ceremony I was quite surprised when called up for a “Best Critical Review” award for my article on Irene’s (which I had slammed in print for the long waits)! 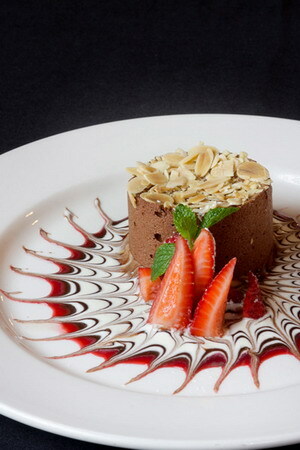 So when I visited Tommy’s Cuisine for the first time recently, the savvy Andrade graciously welcomed me with open arms to my utter surprise, charming me and the editor I was wining and dining. Of course we were very pleased to learn that Andrade had grabbed our beloved Chef Prudence from Galatoire’s, and we found the service was better than Irene’s. The best tip I gathered on that first evening at Tommy’s is that you can ask for some of the dishes Chef Prudence was famous for and he will prepare them for you (off the menu). His nightly specials also revisit the Galatoire’s menu. 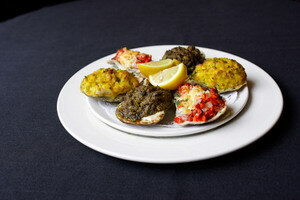 The chef’s definitive oysters Rockefeller and Bienville rival the signature oysters Tommy studded with pancetta and roasted red pepper and baked on the half shell with a sprinkling of fresh Romano. The lump crabmeat canapé (enriched with béchamel and flecked with green onions) mirrors the crabmeat Lorenzo at Galatoire’s. And the creamy crabmeat au gratin will take you on a trip to memory lane. 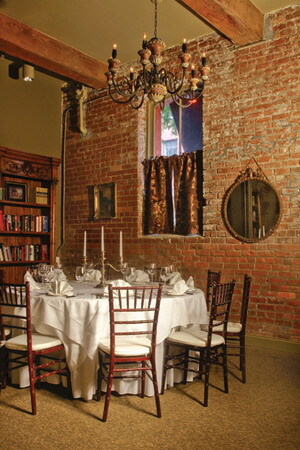 “After we opened we began shifting from Italian to more New Orleans food,” Andrade explains. “I used to go to Galatoire’s every Sunday and Milton was there.” Thus, the Tommy/Milton collaboration ensued. 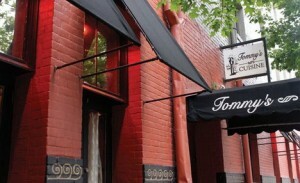 Tommy’s seating was expanded and the romantic dining room now packs in regulars each evening. “This is my house. 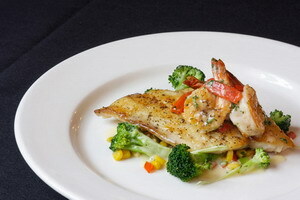 I live right above the restaurant,” Andrade confides. 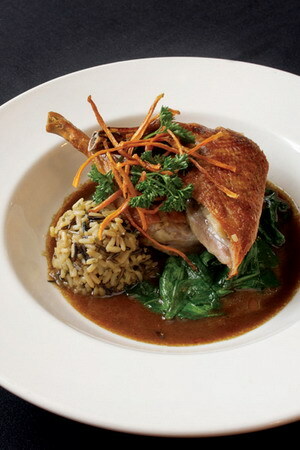 Some of Tommy’s signatures are reminiscent of various dishes I liked at Irene’s, including chicken Rosemarino roasted with white wine and a rosemary garlic jus. 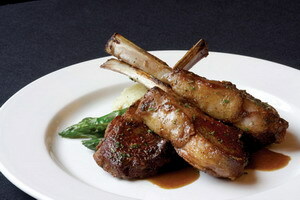 Duck Tchoupitoulas is a menu stand-out, roasted until crisp and enveloped with a raspberry reduction, and I also recommend the lamb chops which are glossed with a deep port wine demi-glace infused with rosemary undertones. Dinner always starts with an amuse bouche, the wine list is impressive, and the waiters are always entertaining. 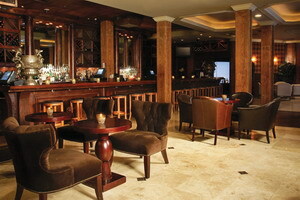 The warm, clubby atmosphere is enhanced with a rose glow in the dining room, soft lighting, and romantic music (think Sinatra). 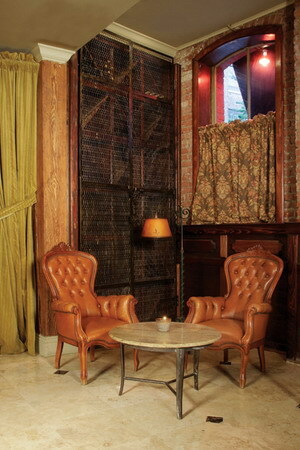 After dinner, before you call for the valet, step next door to the wine bar, catch a jazz set, and hug your honey before floating home on a cloud of gustatory bliss. Here you can write a comment to the post "Tommy’s Touch: A culinary evolution"